Set among rolling hills in Western Victoria, Dergholm State Park is a great place for bushwalking and picnicing in tranquil natural surrounds. Enjoy spectacular spring wildflowers by day. At night, try spotting the elusive Sugar Glider on a spotlight walk. 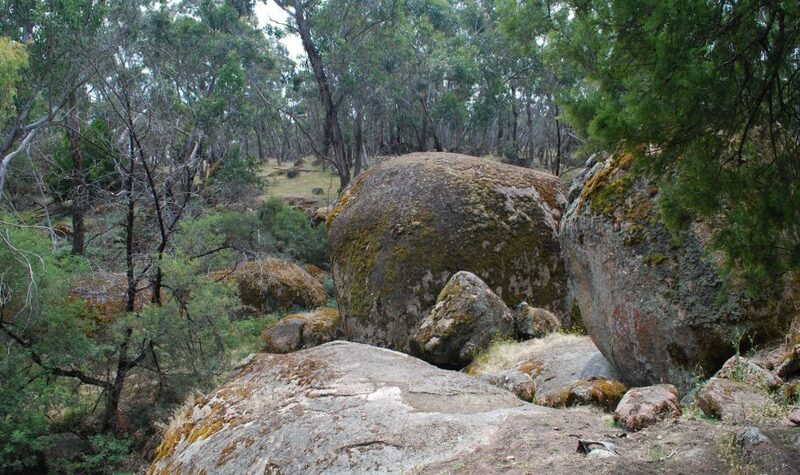 Camp, have a picnic or take the short loop walking track to explore the ancient granite rocks at Baileys Rocks. Enjoy spectacular spring wildflowers by day and at night, try a spotlight walk and look for nocturnal animals such as the elusive sugar glider. Explore the area around Dergholm State Park and visit Bilstons Tree, the world's largest measured river red rum, one kilometre east from the Youpayang Block boundary along Nolans Creek and Glenmia Roads.